We had twenty long years to prepare for the arrival of Independence Day: Resurgence, and though at times it seemed Roland Emmerich’s sci-fi sequel would never materialize – remember when Fox pitched plans for two full sequels? 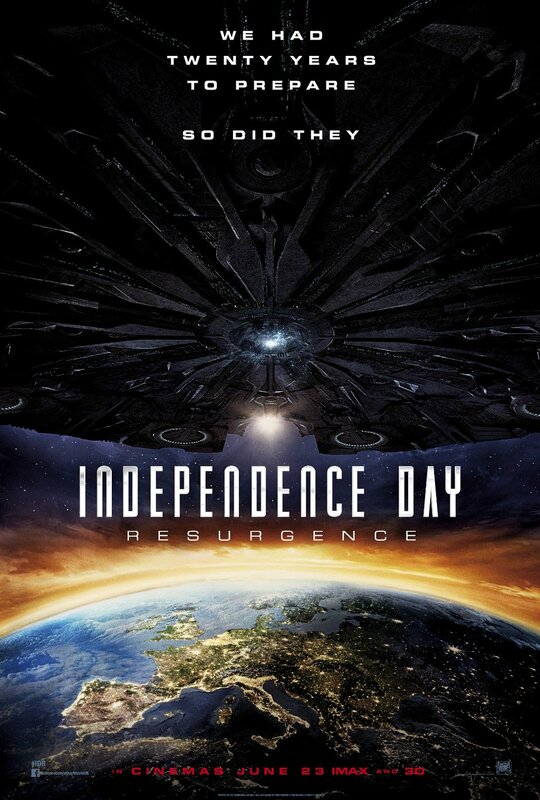 – an ominous new poster reminds us that those pesky aliens are coming back to tear the Earth asunder. It’s a similar one-sheet to the 1996 original, only this time ramping up the scale to a global level, as opposed to the by-now iconic shot of the alien ship blowing the White House to kingdom come. 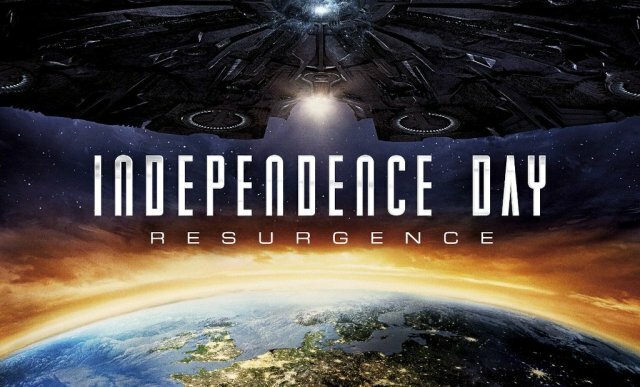 Indeed, if the original Independence Day proved a defining milemarker for the modern-day event movie, Emmerich is aiming for the stars with Resurgence – quite literally. Having established a base of operations on the moon, humanity is now armed with the remnants of alien technology left over from the War of 1996. Advanced firepower is all well and good, but when the next wave of aggrieved extra-terrestrials have the ability to lift up entire cityscapes – Skyline eat your heart out – Jeff Goldblum, Bill Pullman and the rest of the core cast quickly find themselves on the back foot once more. Hoping to prove that the prolonged wait was worth it after all, Independence Day: Resurgence will release in theaters come June 24. Twenty years after the War of 1996, the international community recovers and the United Nations creates the Earth Space Defense (ESD), a united global defense program that serves as Earth’s early warning system and the main defense force using technology salvaged from remains of the alien forces, with some military forces assembled on the Moon. However, the aliens were able to send a distress signal before their final defeat while others went into hiding elsewhere around the world. The aliens in deep space receive the signal and sends a larger and a more powerful battle fleet than the previous ones, threatening the human race once more.